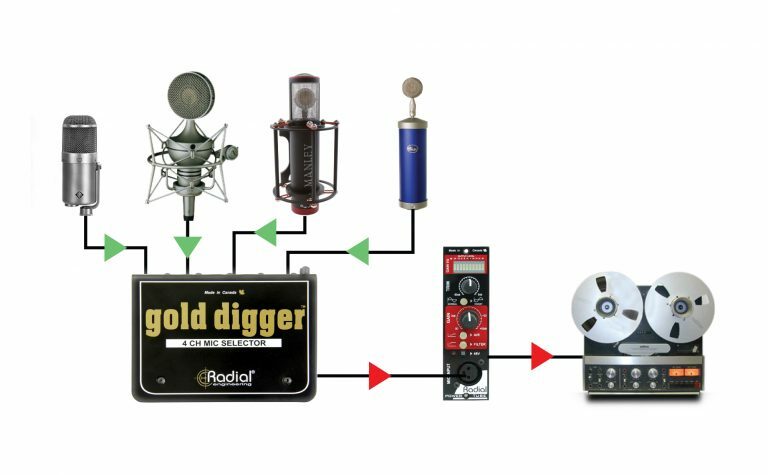 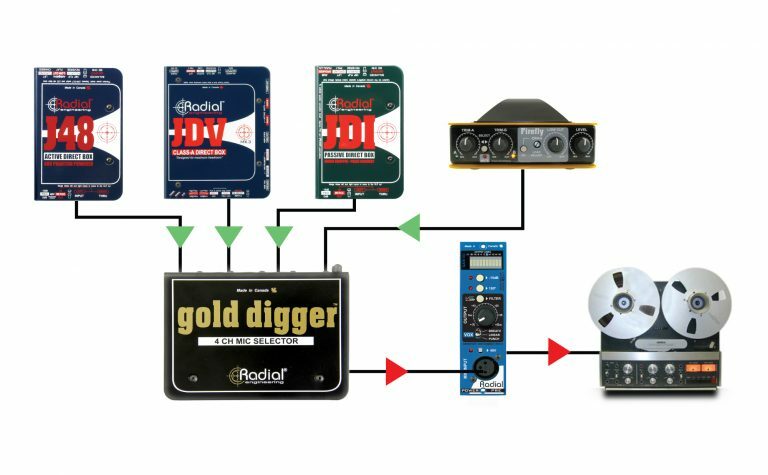 The Gold Digger allows you to record with confidence knowing that you've selected the right tool for the job each and every time you record. 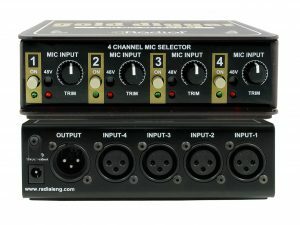 It provides the ability to instantly A/B between up to four microphones, without introducing any coloration, noise, or distortion. 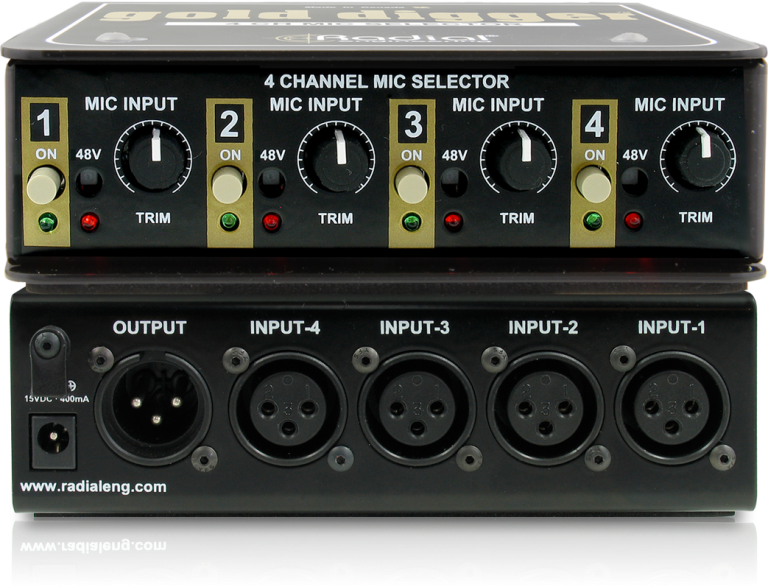 Individual set & forget trim controls let you adjust each mic level so that they produce the same relative output, and 48V phantom is available to power condenser microphones. 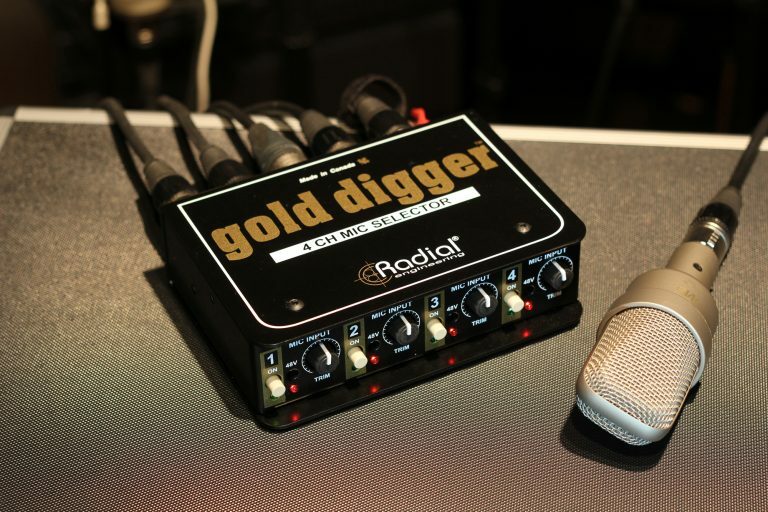 The Gold Digger makes it easy to audition multiple options while maintaining studio efficiency and ensuring a smooth workflow. When paired with the Radial Cherry Picker™ you can choose between four microphones and four preamps in any combination, giving you the freedom to explore endless sonic possibilities. 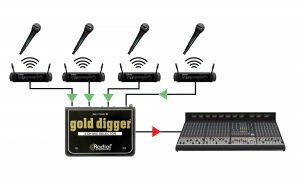 "It was in trying to hear slight tonal differences between the exact same mic models that I really appreciated the Gold Digger's transparency, ease of use, and instant switching between channels. 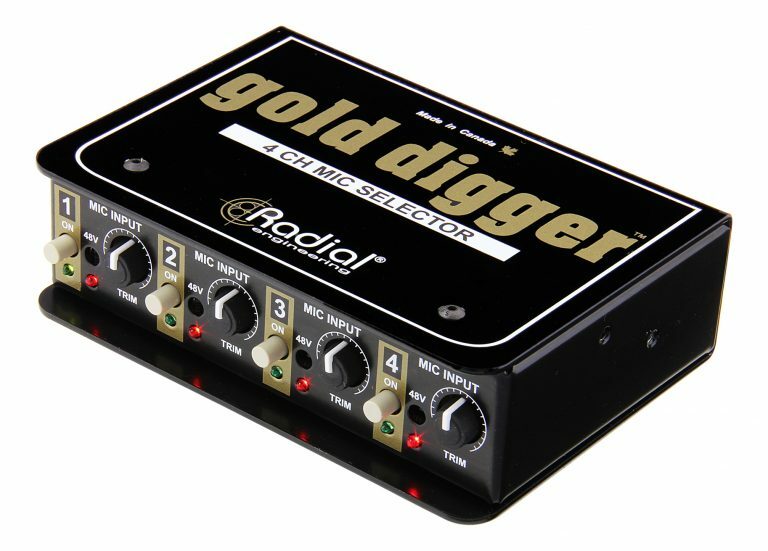 What a great debugging tool! 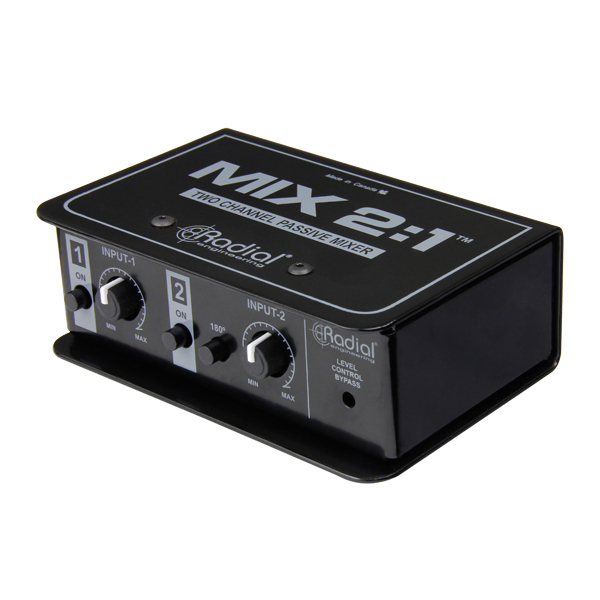 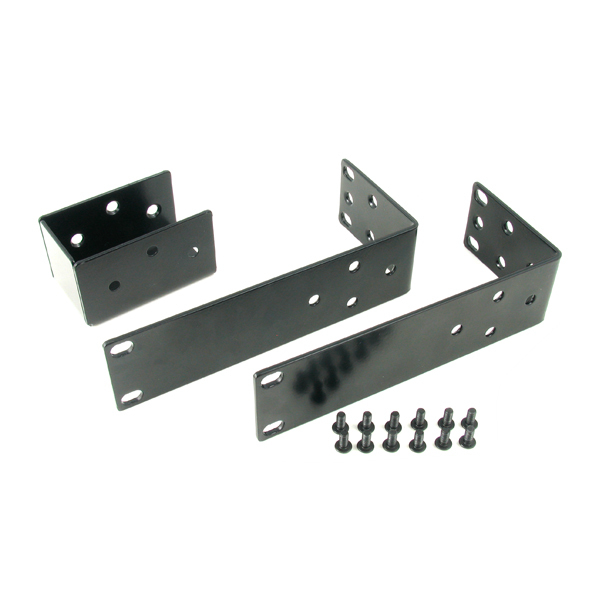 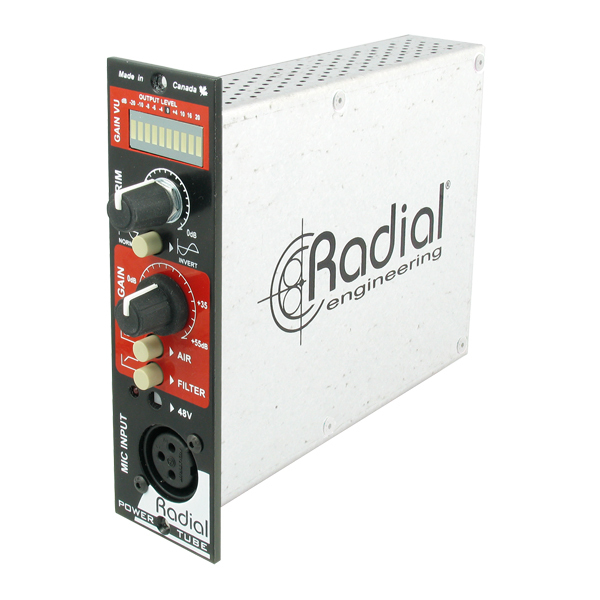 This is a fantastic piece of gear for any serious engineer/producer." 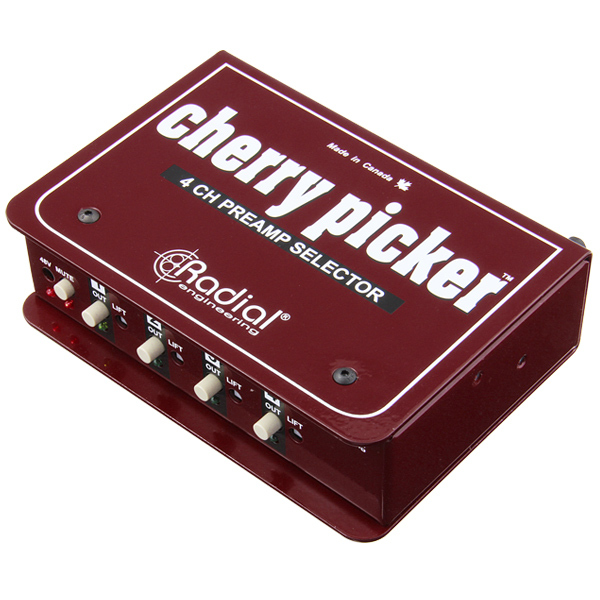 "The Gold Digger and Cherry Picker are well built properly featured and affordable. Both get the job done as promised. 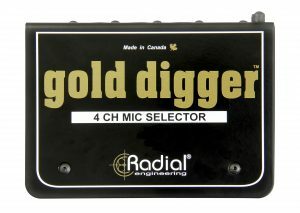 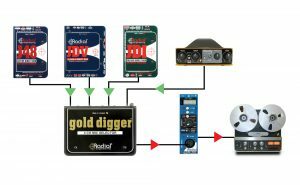 Radial's Gold Digger is a very useful & alluminating tool." "The Gold Digger is well thought-out and versatile, and it's quite remarkable how useful a product like this actually is!" 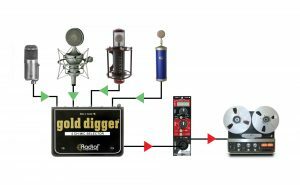 "If you have a studio or setup that focuses primarily on mono vocal tracking, this is a buy that will greatly improve your workflow... 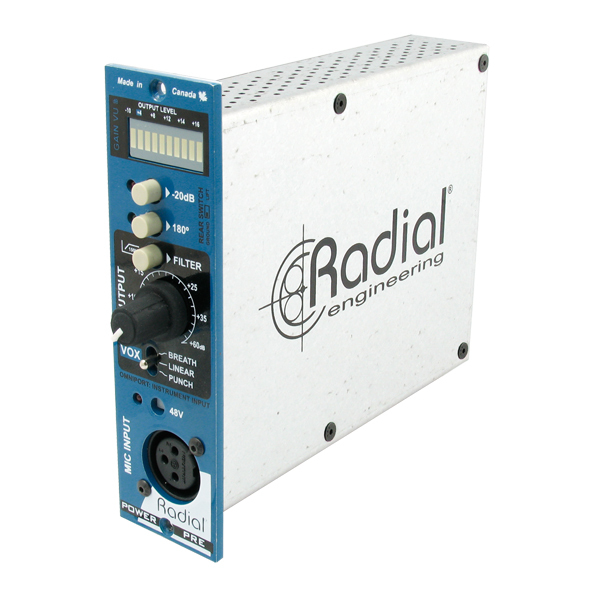 The ability to quickly switch between mics, the cleanliness of the circuit and Radial's dedication to preserving the integrity of the input signal make this a great choice for any studio." 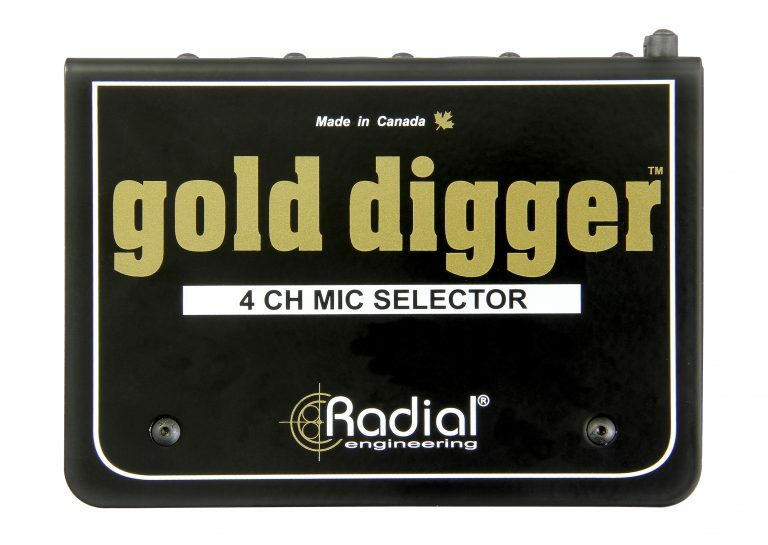 "The Gold Digger is a must-have when I'm shooting out vocal mics. Not only does it allow quick and seamless level-matched A/Bing, but it's entirely invisible and does not alter the sound in any way."